An adventure tour package with a mixture of adventurous road trip in a jeep along with 5-6 days of trekking, camping and lots of exploration. 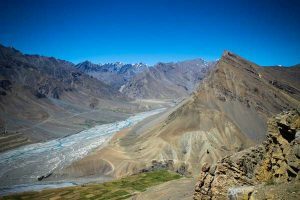 This is an ideal travel package of Himalayan mountains of Himachal Pradesh to enjoy the road, spend some time hiking and get to know the sights and local people of Himalayas from upclose. A car will pick you up from Chandigarh railway station and to take you to Shimla, Lunch will be on the way and or in hotel. After checkin and depositing luggage, you can either enjoy a free day or do sightseeing. It can include Jakhu temple (2455 m) dedicated to Lord Hanuman, Lakkad Mandi, Christ Church, Indian Institute of Advanced Studies etc. In the evening, you can relax by taking a walk on the famous Mall Road of Shimla. Wakeup early and get in the car to drive towards Sarhan and visit Kufri, Theog, Narkanda, Matiana on the way. A small hike to Hattu Peak (3135 m) is also possible. 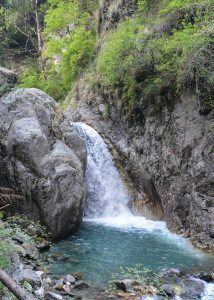 You will reach Sarhan in evening and checkin the hotel for rest and overnight stay. In Sarhan, visit the Bird Park and enjoy a walk in the lap of nature for 2 hours. Later on, visit the Bhima Kali temple one of the most important temples of Kali in India where human sacrifice was practiced before 18th Century. Then drive to Jeori past the Wangtu bridge and and reach Kafnoo for a over night stay in the campsite. The trek will begin next day. After breakfast, we begin the trek through a small settlement and the nearby forest. After climbing the steep path for a while, you will gradually reach easier incline which leads to the campsite located in a lush green meadow on the banks of the river Bhaba. Overnight stay at Camp. This day trek will begin with crossing of Bhaba River to the other side through a forest. You will climb on a gentle incline and walk through lush green meadows for about 4 hours to reach the next campsite. This day, we trek towards the base of Bhaba pass. During the trek, we will cross some streams, walk through gentle and steep inclines. It will take about 5 hours to reach the next campsite. This day will begin with a 3-4 hours climb on steep incline as you reach Bhaba Pass at an altitude of 4865 m. You will rest there for a while taking in the views. Crossing of this pass will take you to Spiti valley. It’s a walk of another 3-4 hours to the next campsite. This will be the last day of trek as you contine towards Mud, first village of Spiti region on this route. It’s a small settlement with about 40 families to call it home. Campsite near the village for night. This day, get in to the car and drive towards Tabo. On the way, take a rest stop at Kungri monastery, one of very few places of Buddhist heritage which was involved in practice of black magic. Night stay will be in guest house of Tabo monastery. Next day’s drive will take you to Dhankar, the ancient capital of Spiti where you will visit the museum and Kungri monastery. 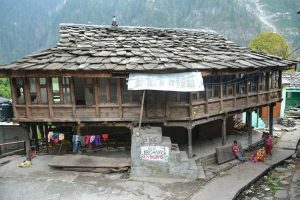 Lunch will be in Gulling and you will reach Kaza for dinner and nightstay in hotel. From Kaza, start driving towards Key and visit it’s beautiful and historical monastery. Later drive on towards Kibber (4205 m) using one of world’s highest motorable road. After having lunch spend a few hours admiring the stunning views. Drive back towards Kaza or stay in Kibber for night stay. After an early morning wakeup, you will reach Chandrataal Lake while passing through Kunzum La (4551 m). where most travelers stop to pay respects to the deity and pray for safe journey. Night will be spent in a campsite about 1 km from the lake.Meaning of Chandrataal is Moon Lake and is a major attraction of Spiti. After a relaxing early morning walk around Chandratal, have breakfast and start driving towards Manali. You will paass through Batal, Chota Darra, Gramhpu and Rohtang. You can stop at a few places for rest and enjoying the views. Once you reach Gramphu, the terrain gets greener compared to high altitude desert of Lahaul Spiti region. Nightstay in Manali. Next morning, start driving towards Chandigarh while passing through Kullu, Mandi and have lunch on the way. You will reach Chandigarh in evening and can take the train or flight from there. PHYSICAL LEVEL: Guests need to be in good physical condition. TENTATIVE COST: Actual cost may differ depending upon season and availability. USD 1300 per person for 2 guests. USD 2200 for a solo guest.